No. of Beneficiaries: 20 college/university teachers and their students in Chinese universities, social innovation professionals and practitioners. China faces large-scale, urgent, diversified and complex social problems. However, it lacks cross-boundary social innovation talents with the sense of responsibility, commitment, and ability to address social problems in a more cost-effective and sustainable manner. There are two major reasons for this phenomenon: 1)young people in China lack education related to social innovation from their early years, and our education system does little in educating young people to care about social issues and devote to public welfare. To make the matters worse, the university, which plays a critical role in the growth of youth, has not become a youth training base where young people are taught to focus on social issues and solve them creatively; 2) social innovation has become a global trend, and is widely used to address social problems systematically and at large scale in recent years. 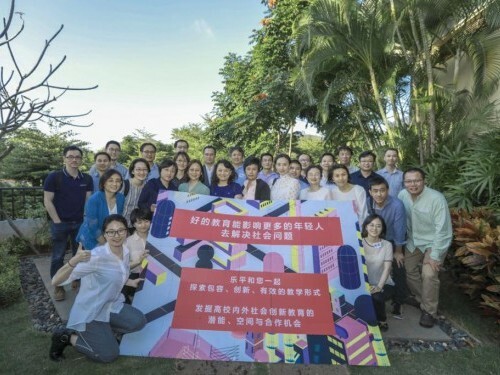 It is also very popular in China, however, domestic institutions lack systematic and indigenous knowledge of social innovation, so they cannot guide the education of social innovation talents and social innovation practices more effectively. This project will introduce world-leading social innovation knowledge, such as the Stanford Social Innovation Review, a world-class social innovation journal. At the same time, Chinese scholars who are capable of describing, interpreting, and studying social innovation would be invited to join in, and they can not only take this opportunity to learn and summarize the local cases and achievements of social innovation, but also would be able to have the solution-oriented, action-triggering social innovation education embedded in the syllabus of university courses. With college/university teachers as the fulcrum, this project tries to catalyze colleges and universities to become a cultivation and support base for social innovation talents . The Macao Tong Chai Charity Association provides financial support for the publication of the quarterly Chinese translation of the Stanford Social Innovation Review under this project, introduction of high-quality social innovation books, and scanning of the current development of social innovation education in Europe and America. The Association will also support the project to work with 20 college/university teachers to open social innovation and social entrepreneurship courses in colleges and universities, or add social innovation to social work, and other interdisciplinary courses in order to guide college/university students to focus on social needs, and build up their ability to creatively solve problems.